Not only does everyone love an underdog story, but when the underdog is also the hometown hero, you’ve got yourself one helluva celebration! Congrats Jeffrey! This past weekend also marked the first round of the AFT Production Twins Class series. 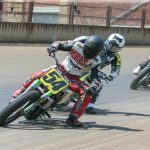 SPRINGFIELD, IL – May 28, 2018 – It may have come a day later than originally planned due to Sunday’s weather postponement, but American Flat Track made good on its Memorial Day tradition. 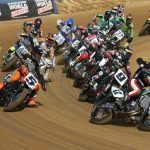 The world’s greatest dirt track motorcycle racers once again put on a spectacular show for the crowd who came back out to the Illinois State Fairgrounds on Monday for the series’ crown jewel event – the Harley-Davidson Springfield Mile I. First, the stars of tomorrow set them up with the first-ever AFT Production Twins race. 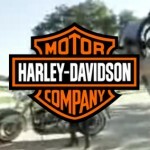 And then the stars of today knocked ’em down with an epic AFT Twins presented by Vance & Hines Main Event. And to the delight of the fans, the star that shined brightest was none other than Illinois native Jeffrey Carver Jr. (No. 23 Roof-Systems/Indian of Metro Milwaukee Scout FTR750). In the early going, Carver was involved in an intense five-rider fight for the lead that also included some of the sport’s living legends – Jared Mees (No. 1 Indian Motorcycle Rogers Racing SDI Scout FTR750), Kenny Coolbeth (No. 2 Nila Racing/Columbia Avionics Indian Scout FTR750), and Bryan Smith (No. 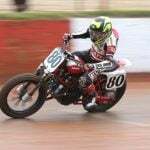 4 Indian Motorcycle Racing backed by Allstate Scout FTR750) – as well as an on-form rising star in Davis Fisher (No. 67 Double D Performance/RMR/Bob Lanphere Indian Scout FTR750). Carver, who was seeking his first-ever AFT Twins Mile victory, seemed to have history stacked against him. 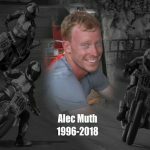 After all, Mees had won the most recent running of the Springfield Mile last fall and had yet to be beaten in a straight fight all season long. As for Coolbeth and Smith, the two boasted a combined 13 Springfield Mile wins between them. Rather than be intimidated, Carver just continued to throw down fast lap after fast lap. He gradually shook free from the pack and had a response ready each time one of his rivals took a run at him in hopes of cutting into his gap. At one point, up-and-comer Fisher actually looked like the rider with the best hope of successfully doing so, narrowing the advantage to back under a half-second deep into the contest. However, Fisher ultimately found himself swallowed up by Mees and Coolbeth in the final push to the checkered flag. Following 25 blistering miles, Carver claimed victory with 0.819 seconds in hand as the grandstands roared in approval. Mees edged Coolbeth at the line by 0.058 seconds to finish as the runner-up. Davis came home another 0.205 seconds back in fourth as he continues to knock on the door of his first AFT Twins podium, while Smith cruised home to round out the top five. The triumph was Carver’s third-ever premier-class win, leaving him just a Short Track victory short of a career Grand Slam. Additionally, he’s only the second rider from Illinois to win the Springfield Mile. The only other Illinois native to win the race was Dave Camlin from Rock Island, Ill., who won both races in 1996 aboard a Harley-Davidson. A jubilant Carver said, “I just love it. Springfield is one of the places [I’ve always wanted to win]. I watch old videos of Scotty Parker, Ricky Graham and Chris Carr out here, just trying to learn their moves. And chasing [Mees and Coolbeth] and watching them, it’s just been a big learning curve. My team is putting everything together, and it’s really starting to show. That’s giving me that extra bit of confidence I need. Chad Cose (No. 49 Indian Motorcycle of Oklahoma City Scout FTR750), Henry Wiles (No. 17 Bandit Industries/Wilco Racing/Willing Built Indian Scout FTR750) and Mikey Rush (No. 54 G&G Racing/Machete Energy Yamaha FZ-07) finished sixth, seventh and eighth, respectively. 57-year-old Ronnie Jones (No. 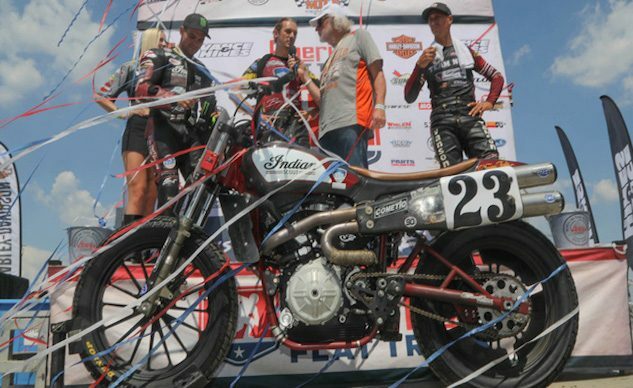 266 Tim Estenson Racing/Rod Lake Indian Scout FTR750) not only increased his record as the oldest rider to make an AFT Twins Main Event by a week, he finished in ninth place while doing so. Jay Maloney (No. 12 Indian Motorcycle of Springfield/JMC Scout FTR750) rounded out the top ten. With the AFT Singles contenders having already completed their class assignment with Saturday night’s Springfield TT, a number of undercard regulars identified the Springfield Mile I as a prime opportunity to get some miles on the bigger, faster twin-cylinder machinery under their belt. Reigning AFT Singles champion Kolby Carlile (No. 36 Estenson Racing/McCandless Trucking Center Indian Scout FTR750) and Arizona Mile winner Kevin Stollings (No. 99 Roof Systems Honda Indian Scout FTR750) brandished yellow plates signifying their AFT Singles regular status to mark their AFT Twins debuts. Carlile was unlucky to see his maiden premier-class entry end following just three laps in Sunday’s Heat Race 1 after demonstrating solid speed throughout qualifying. Things went considerably better for Stollings, who earned the final transfer spot in Semi 2 to make the cut for the Main Event. There he would go on to finish 11th. Several of Carlile’s and Stollings’ AFT Singles rivals, meanwhile, took advantage of the introduction of the all-new AFT Production Twins class. The category was specifically designed to provide qualified AFT Singles riders a chance to get some seat time on production-based twins with an eye toward easing their eventual graduation into the AFT Twins class. Michael Inderbitzin (No. 54 Weirbach Racing/Kawasaki USA Kawasaki 649) made it a Memorial Day weekend he’ll long remember, backing up a top-ten run in Saturday’s Springfield TT with a victory in the first-ever AFT Productions Twins race. Inderbitzin recovered from a terrible launch at the start of the race to charge his way through the entire field and into the lead. Once there he successfully fought off a last-lap attempt by Tristan Avery (No. 16 Ron Ayers/Mr. Sign Kawasaki 649) by 0.178 seconds at the checkered flag. The AFT Production Twins class will be back in action for its second race when the series returns to Springfield for the Harley-Davidson Springfield Mile II on September 2.